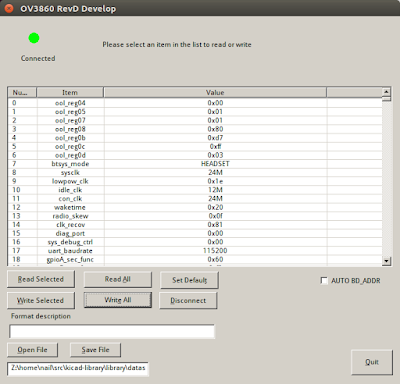 When module is connected to computer, it must by reconfiguret (under windows) as COM1, so go to device manager, find your usb2serial device and change it to COM1, then start OVC3860_revd_config_tool.exe , (for info, I run it with wine on linux, symbolic link from /dev/ttyUSB0 to com1 at ~/.wine/dos_devices), then when software is running, reset module (connect RESET to ground). Software will state to "Connected" with green dot. Then you can read/write PSKeys by selecting exact PSKey and red it by selecting "Read Selected" or write it by "Write Selected" after you change it to desired value. 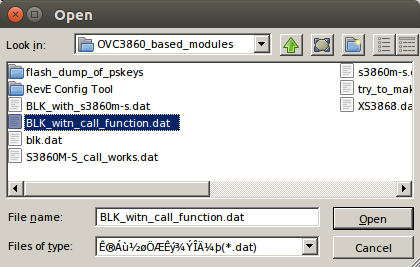 You can also upload full PSKeys dump by selecting "Open file", selecting dump and then hittig "Write All". Select "Open file" for selecting dump file. 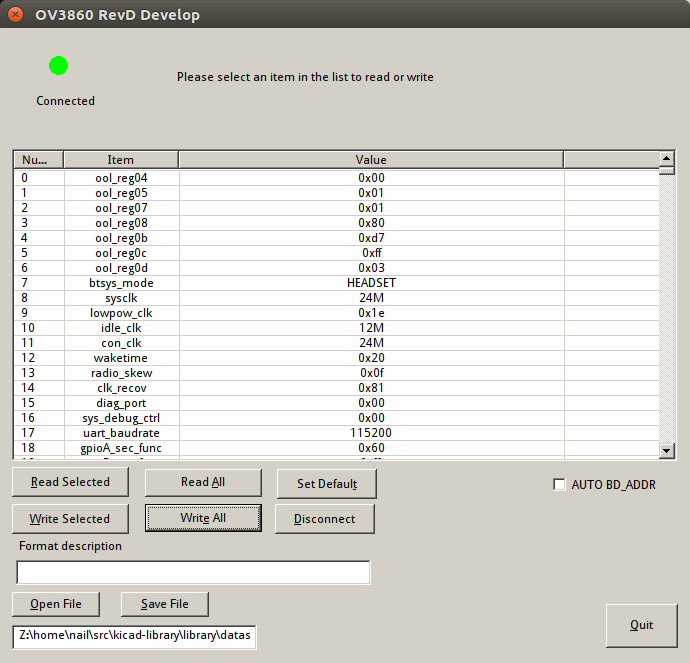 Values from dump file are read. "Write all" will write them.